The Operation Bureau has the largest number of personnel and divisions within the fire department and is under the direction of one of the Deputy Chiefs assigned to lead and manage all aspects of the Bureau. Within the Operations Bureau are the Emergency Medical Services Division, Training Division and Special Operations Division. Field Operations handles all fire, rescue, emergency medical and special operations emergency incidents, as well as non-emergency calls for service and assistance. 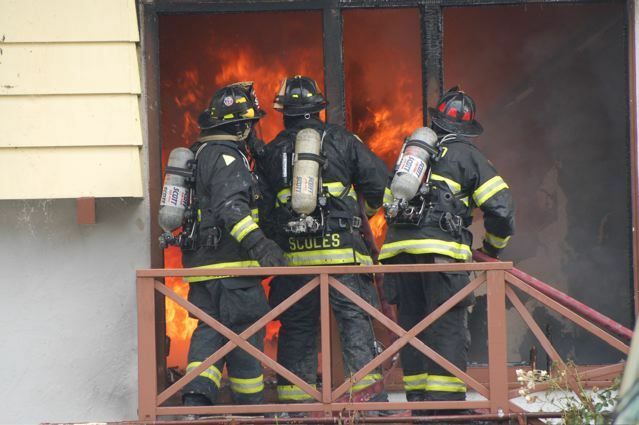 Additionally, the Operations Bureau through the Training Division and Special Operations Division is responsible for all recurrent, required, mandated or specialized training for firefighters. The Emergency Medical Services Division is responsible for oversight, quality assurance and improvement programs, assists in the on-going training, continuing education and certification of all firefighter paramedics and emergency medical technicians. The Fire Department teaches fire safety awareness classes in 33 elementary schools, instructing over 11,000 students in grades K-6 in all cities. Fire companies teach various public safety lessons that children need in order to be safe from fire and other accidents. These programs are presented in October, in conjunction with National Fire Prevention Week. The fire Department offers statioin tours to school groups. the tour covers a typical day in the life of a firefighter as well as specific fire safety messages. Tour arrangements need to be made in advance, as drop-in tours are not encouraged. Call (650) 991-8138 for information. The Department initiated a twice-monthly reading program by our Fire companies for children at local libraries. This program allows fire personnel to develop positive relationships withi our youngest citizens and insert fire safety messages in a fun and entertaining way. The Department ofers monthly blood pressure screening for seniors and distribution of a Chld Identification DNA Kit. These “drop-in” programs are conducted at all fire stations on the 2nd Saturday of each month.